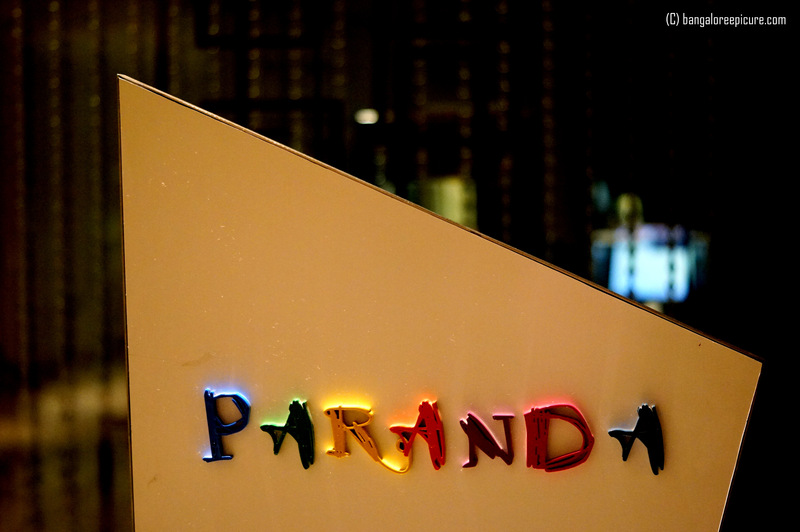 “Paranda” as the name signifies different colors; the menu at the restaurant which took us on a gastronomical voyage to Land of Five Rivers was inclusive of distinct flavours. The mastermind who gifted this wonderful tryst with food was Chef, Agnimitra Sharma. This man with his magical touch designed a menu focusing on north western food of India. In this process, I gained a little advantage as the chef focused on vegetarian dishes for the menu. If you are one of the vegetarians, stay tuned we have lot of dishes to cater our palate. Our dinner started off with traditional Punjabi Shikanjvi it served as a good appetiser. Soon after this Palak Pata chaat was served, it was spicy and tasty. The next one was a showstopper Makhmali Tandoori Guchhi made of Kashmiri morels had a unique flavor and I thoroughly cherished the taste as it was something rarely available here. The spring onion stuffed Hare Pyaz Ka Bharwan Panner Tikka tasted awesome. The deep fried mushroom in Karare Chatpate Khumb was crispy and flavourful. Hats Bhara Kebab of course was the undisputed king among starters. Bhutte key Kebab had a perfect texture and taste. In the main course, Guchhi Matar took the limelight and of course the other main course dishes like Kumb Kali Mirch Hara Pyaz and Dal Makhni were second to none with Makki ka roti. Also, chef served Veg Biriyani and Guchhi Pulao. Both these dishes tasted out of world. Finally, desserts arrived at our table, the king of fruits, Mango kulfi just melted in mouth leaving the mango flavour. Gulab Jamun and Rajbhog were authentic. With all of these, Chef served us a complete meal. I would like to appreciate the way he introduced his menu and presented every dish with introduction. The service was prompt and waiters over Paranda have good knowledge about the food and certainly good at suggesting dishes. Overall, it was a great experience and I would like to thank “Vivanta By Taj” Management for having us! Note: This article is completely based on my experience and not influenced by anyone though it’s an Invitation.